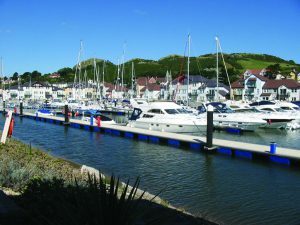 Hafan Pwllheli Marina is on the River Rhyd-hir and is a sheltered harbour with the capacity for 400-berths on pontoons with piles and has access at virtually all states of the tide. Contact 01758 701219 or visit www.hafanpwllheli.co.uk. Victoria Dock is situated within 2 minutes walk of the historic town of Caernarfon on the banks of the Menai Strait. It has fully serviced berths for nearly 50 permanent craft and up to 30 visiting vessels on floating concrete pontoons. The dock is accessible approximately 3 hours either side of High Water. Contact 01286 672118 or visit www.caernarfonharbour.co.uk. Port Dinorwic is also situated on the Menai Strait located in a small narrow valley providing excellent shelter. The marina is divided into three sections, the inner lock basin has 120 berths, the tidal pontoon basin has 100 berths and outside the sea-lock entrance the tidal pontoon can accommodate 20 berths. Contact 01248 671500 or visit www.portdinorwic.com. Conwy Marina is the first purpose-built marina on the North Wales coast and is superbly situated with the 13th Century Castle facing opposite. There is good shelter when approaching except in strong NW’lies and it’s a large 500-berth marina with fully serviced berths on pontoons which can be accessed through half tide and high water. Outside of this period vessels should wait at the pontoon outside the gate entrance. Contact 01492 593000 or visit www.quaymarinas.com. 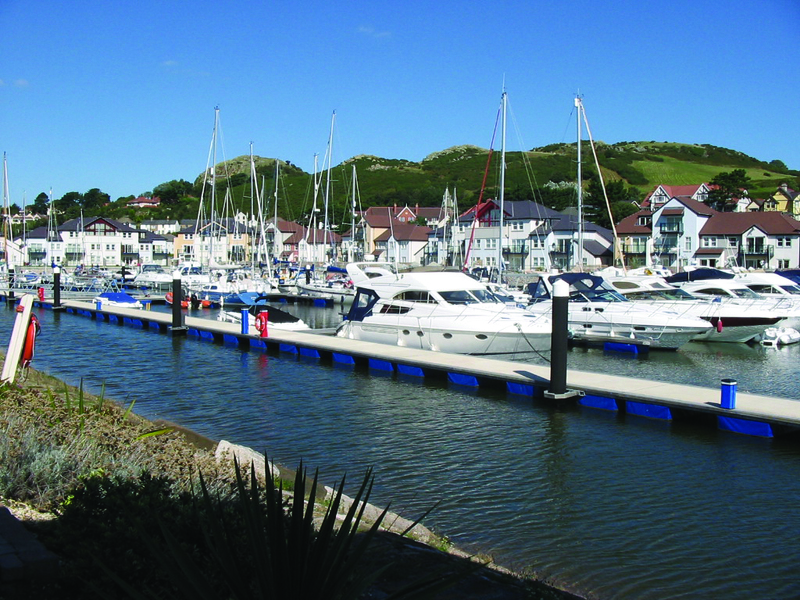 Deganwy Marina lies on the River Conwy under the old Deganwy Castle and faces the town of Conwy with its Castle. This modern marina was completed in 2004 and offers berths for 165 craft on floating concrete pontoons and is entered via an automatic tidal gate accessed through half tide and half water. Holding pontoons are located at the seaward northern end of the Conwy Harbour pontoons should the marina entrance be closed. Contact 01492 576888 or visitwww.quaymarinas.com. Holyhead Marina can be entered in all weather conditions and at all states of the tide and offers 300+ berths. Contact 01407 764242 or visit www.holyheadmarina.co.uk.